he’s training with kettlebells. If so, you might want to get him a demonbell. 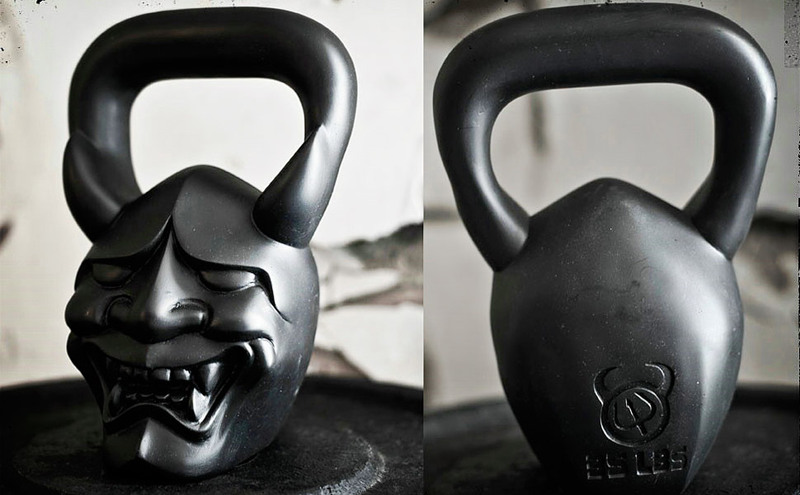 They are kettlebells, yes, but they are original and creative and just fun to train with. Each demonbell is like an artist’s sculpture-no kidding; you have to see them to believe it. There is nothing different about their function other than that they are very intimidating and make quite a statement. Dad will think of you every time he swings it, that’s for sure. Resistance Training Bands- Fitness expert Dave Schmitz created these bands of varying strengths and tensions. Great for metabolic work, strength work, force production, isometric work; band training does it all. Safe and effective, these bands add a whole new dimension to total body training. Every serious amateur (or professional) can benefit from working through varying angles and force vectors with constant tension throughout the movement. Every workout needs variety and there is nothing like band training for added variety. U.S. Wellness Meats-Nothing makes a true carnivore happier than a thick, juicy steak. But isn’t red meat supposed to be bad for you? Not when it comes from cows raised in Australia or New Zealand that have grazed on grass their whole lives instead of corn, soy and other GMO derived, hormone laced, anti-biotic contaminated food sources (yes, that's how I really feel?) U.S. Wellness Meats have been featured on my website since its inception. They have been providing the educated consumer with the healthiest, highest quality beef around for years. Yes, I am an affiliate but it would take you ordering an entire herd of cattle for me to make any money from selling it. In fact, this is the only product on this list that I would benefit from financially. I just believe in it. It’s an excellent product and the taste? Incredible! Fat Gripz –What on earth are Fat Gripz and how do they work? Standard barbells and dumbbells have a handle with a diameter of about one inch. The thick bars that strongmen and pro athletes have been using for years have handles 2-3 inches thick. Place the Fat Gripz over the bar and lift with your hands around them. Why? Because the extra thickness makes a huge difference. It causes increased muscle fiber activation in the grip, forearm, biceps and triceps; in fact, the whole upper body-which equals great strength gains over time. If you’re serious about building serious muscle and strength, you’ve got to try Fat Gripz. CrossCore® Rotational Bodyweight Training™ (or "CrossCore® RBT™") is our key competitive advantage. 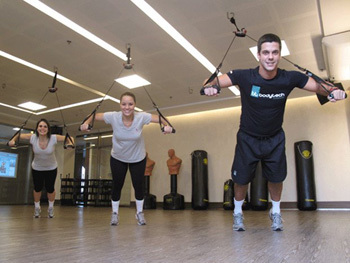 It allows users to incorporate natural and rotational movement while performing bodyweight exercises. CrossCore® RBT™ is more than suspended bodyweight training. Where the competition stops is where CrossCore® excels and changes the game! Rotation is a necessary component of truly effective suspended bodyweight training and tri-planar movement. Rotation is what makes it possible to perform the moves involved in a sport, occupation or everyday life for maximum results. And rotation is crucial in properly strengthening the core and preventing injuries in other parts of the body.